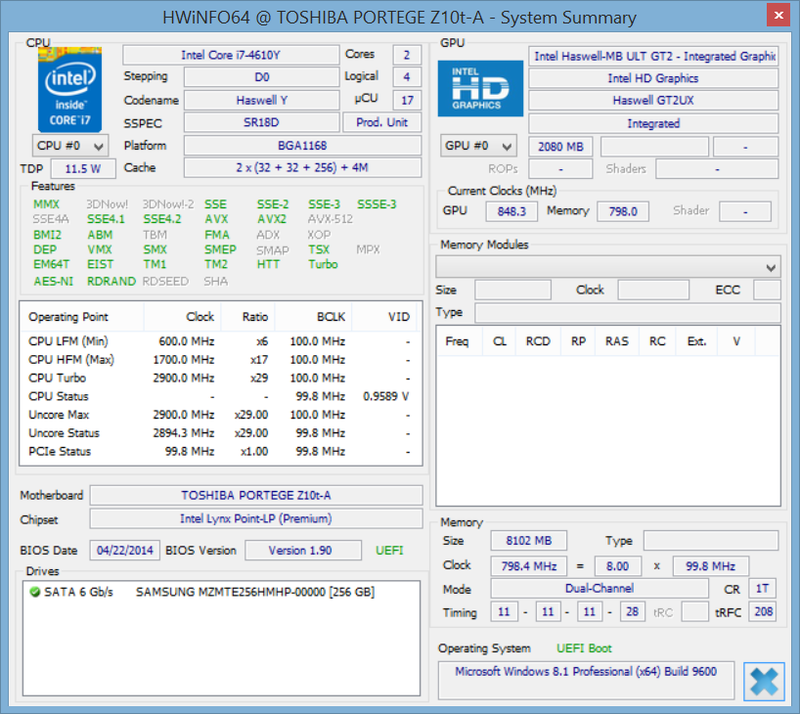 It was late last year when we published our first in-depth review on the Portege Z10t and the 2014 refresh remains the same on the exterior with some internal upgrades to Haswell. Most importantly, however, prices have dropped from the steep >$2000 price point to a more reasonable starting price of $1500, which puts it in direct competition against other Windows 8 tablets and convertibles including the Fujitsu Stylistic Q584, HP ElitePad 1000 G2, HP Split X2 13, Lenovo ThinkPad Yoga and, of course, the recently released Microsoft Surface Pro 3. More pictures and details on the chassis, connectivity, detachable keyboard and unique features of the Z10t can be found on our first review of the model here. In this review, we will focus on performance and how it compares to competing business convertibles such as those listed above. Is this high-end tablet and docking station worth the price of admission? The display on the Z10t-2111 is the same as on the original Z10t down to the Toshiba TOS508F panel, glass protection with matte layering and a 1080p native resolution. Brightness and contrast are also essentially identical with the small differences likely stemming from the measurement tools used. 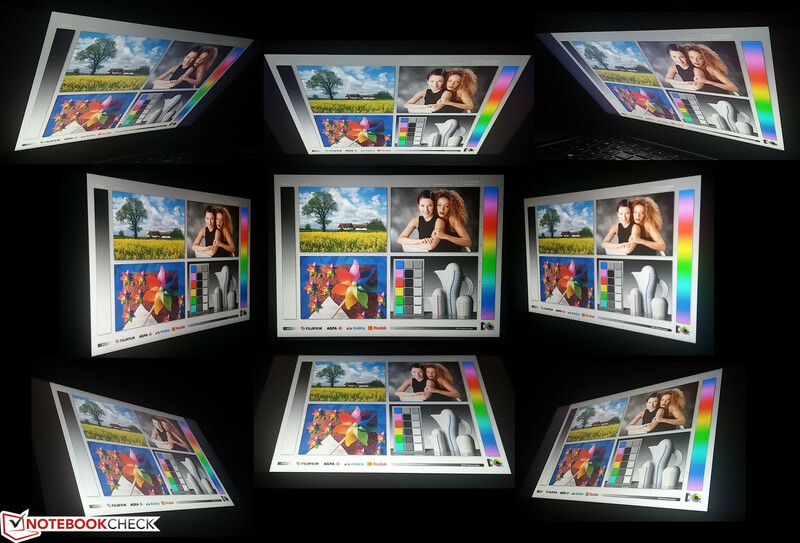 Subjectively, the display is free from any significant backlight bleeding or color issues, but it suffers from a slight grainy look due to the matte layering on top of the edge-to-edge glass protection. It's not as severe as on the matte display of the Tecra Z40t, but it is definitely noticeable to users who may be accustomed to the crisp and glossy screens of most other tablets. We are a bit disappointed to see no higher resolution options above 1080p as competing models are beginning to pack in denser displays like the 12-inch Surface Pro 3 (2160 x 1440) and 10.1-inch Fujitsu Stylistic Q584 (2560 x 1600). Despite this, we had no issues displaying windows side-by-side or navigating through Windows via touchscreen. 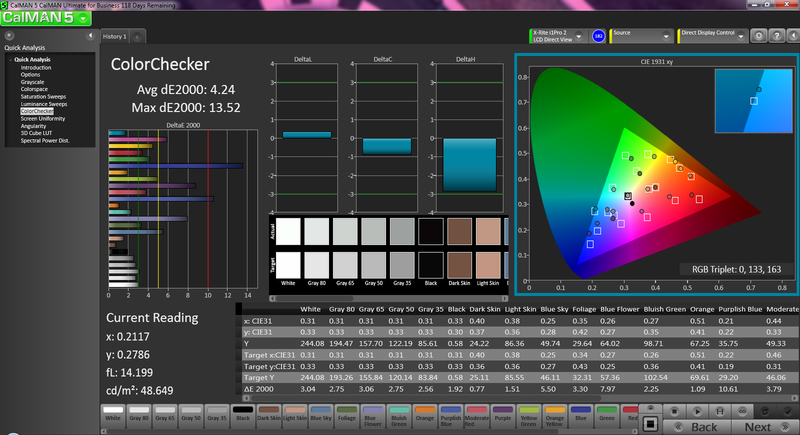 Color space reproduction is about 58 percent of sRGB and 44 percent of AdobeRGB standards. This is standard on mainstream and consumer notebooks, but we were expecting a bit more from a tablet at this price range. 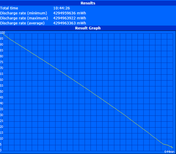 The Surface Pro 3 and Tecra Z50 Ultrabook, for example, have higher coverage hovering around 75 percent of sRGB. Nonetheless, the Z10t was not designed for professional graphics editing, so the middling color coverage is not a concern for day-to-day use. 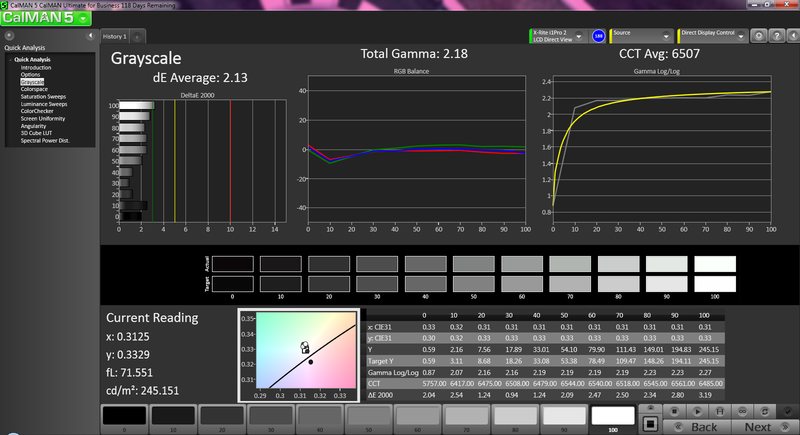 Further display analyses with an X-Rite i1Basic Pro 2 spectrophotometer reveal very good grayscale performance, but poorer color accuracy across all tested saturation levels. 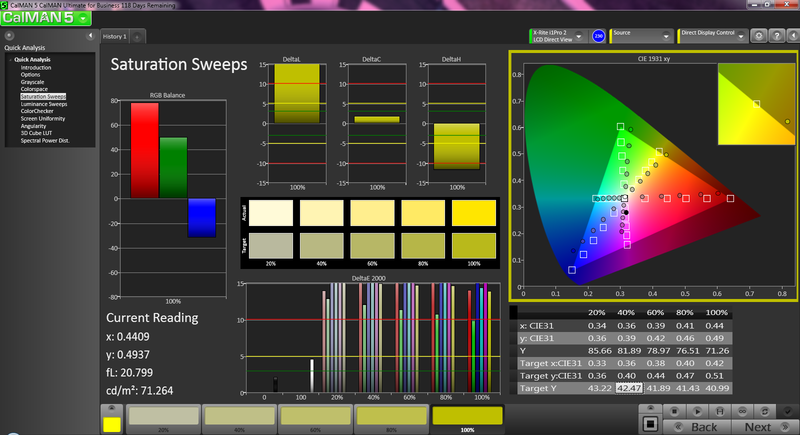 A quick calibration resolves most of the issues and will subsequently improve RGB balance. 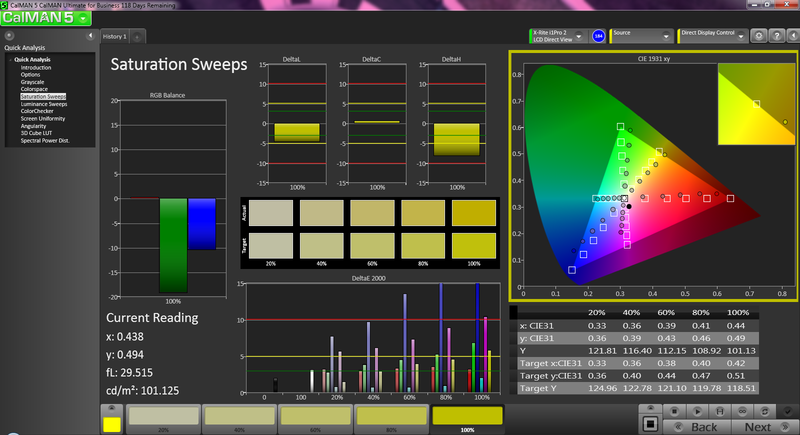 The colors blue and magenta, however, are still reproduced poorly post calibration especially at higher saturation levels. 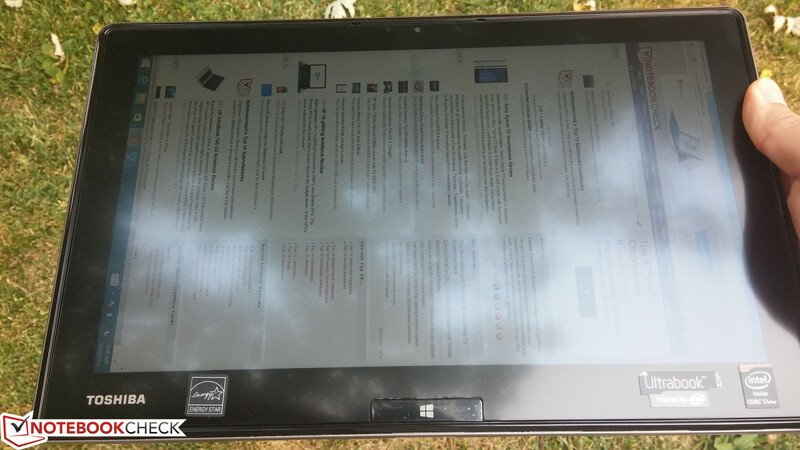 With display brightness similar to that of the Surface Pro 3, usability is good outdoors if away from direct sunlight. 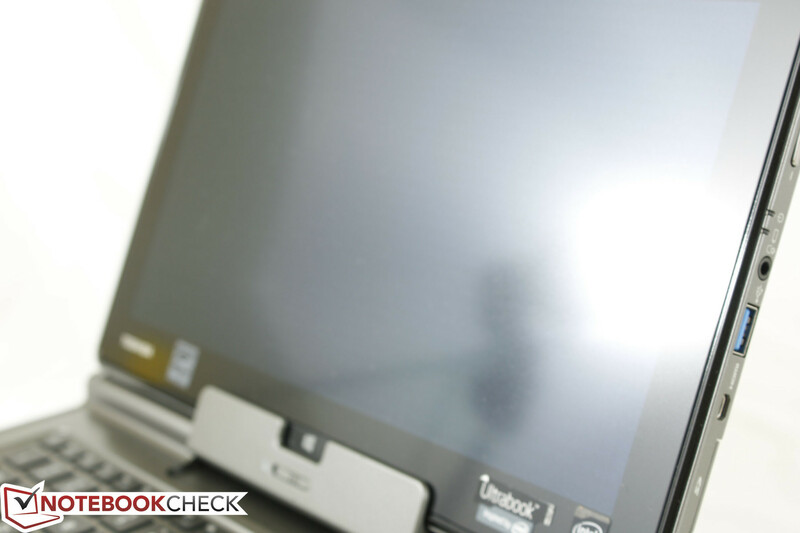 Glare can occur but is less of an issue and is easier to avoid due to the matte screen. Maximum brightness drops slightly if unplugged from a power source (contrary to our original review), so a high backlight setting is recommended for more comfortable viewing. 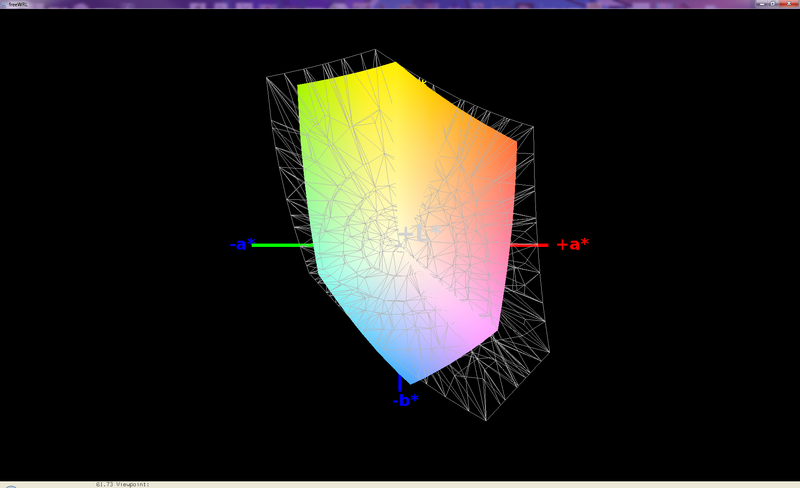 Viewing angle stability is excellent as expected from an IPS panel. Colors do not invert or degrade if viewing from extreme angles either horizontally or vertically. This makes using the tablet possible to use in both portrait and landscape mode. Our Z10t in review is equipped with an ULV 1.7 GHz Core i7-4610Y, which is impressive considering the tablet form factor. 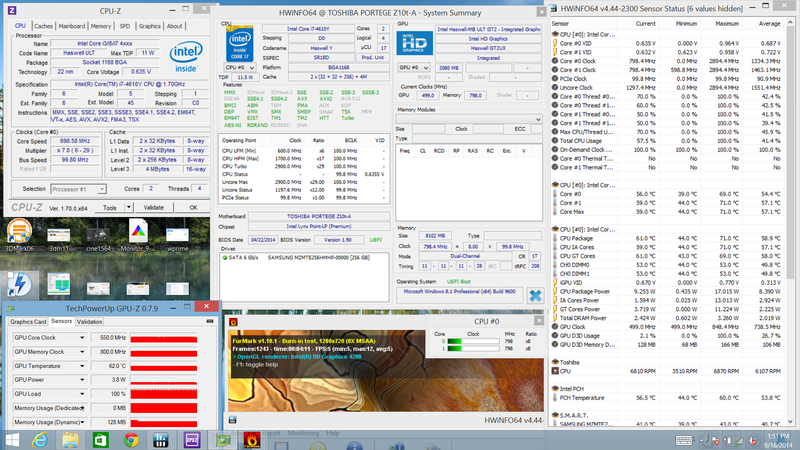 This dual-core Haswell CPU has a power envelope of 11.5 W and requires active cooling to run properly. 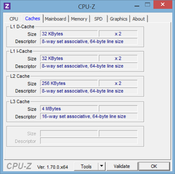 On the Z10t tablet in particular, the CPU will run at 600 MHz if on the Power Saver profile and will run up to 2.9 GHz with Turbo Boost for a single active core. 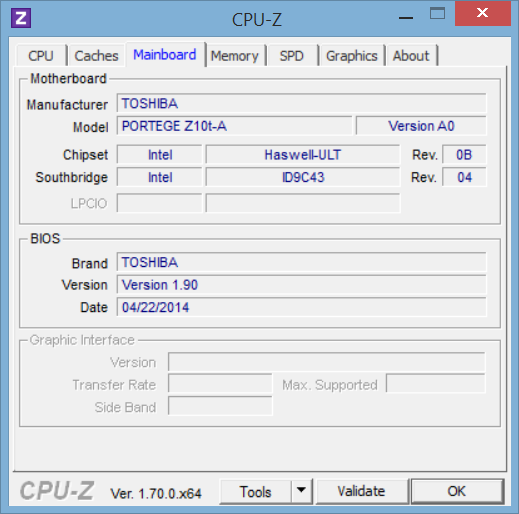 Note that Toshiba also has available a lower-cost Z10t sporting an ULV 1.6 GHz Core i5-4300Y. These processors are more than sufficient for browsing, word processing or the occasional Flash games and other undemanding work. 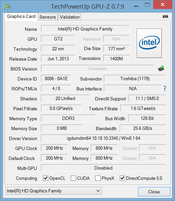 Graphics is provided by the integrated HD 4200 for both the i7 or i5 model and operates at 850/800 MHz core/memory. 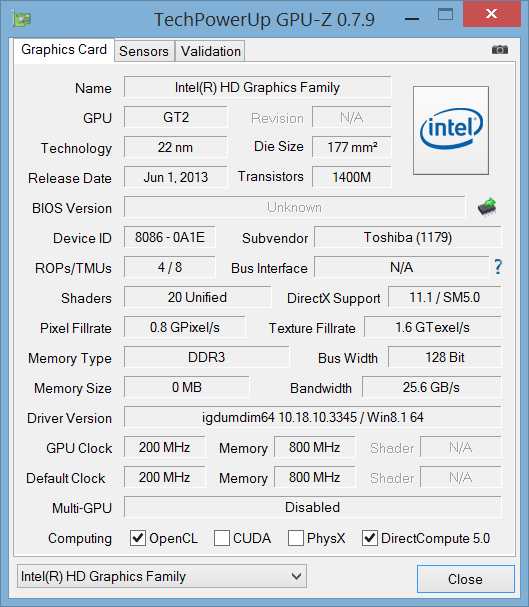 The GPU supports Turbo Boost as does the CPU, but this is very limited due to the tablet form factor and ULV TDP. 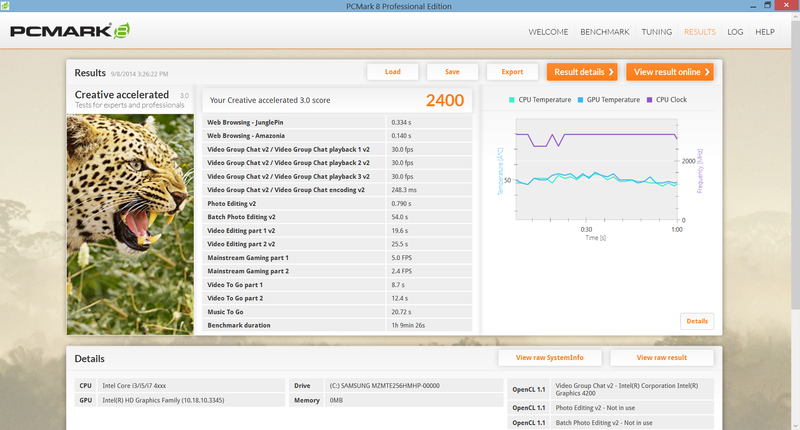 More information and benchmarks on the HD 4200 can be found on our dedicated GPU page here. 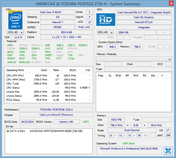 RAM is fixed at a dual-channel 8 GB capacity, though a 4 GB model is also available. 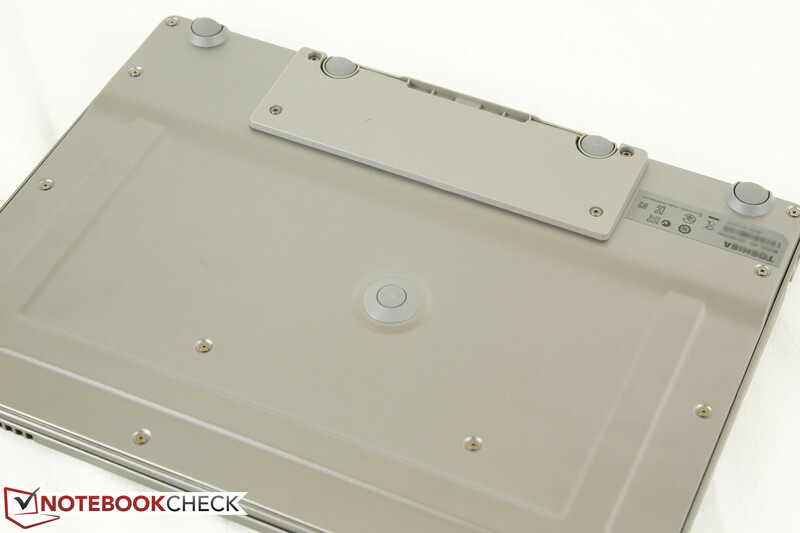 There are no overt screws or easy disassembly instructions for the Z10t so end-user maintenance or upgradeability is not recommended. 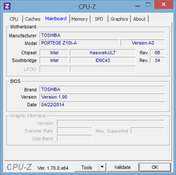 The i7-4610Y in the Z10t is the first CPU of its model to enter our database. 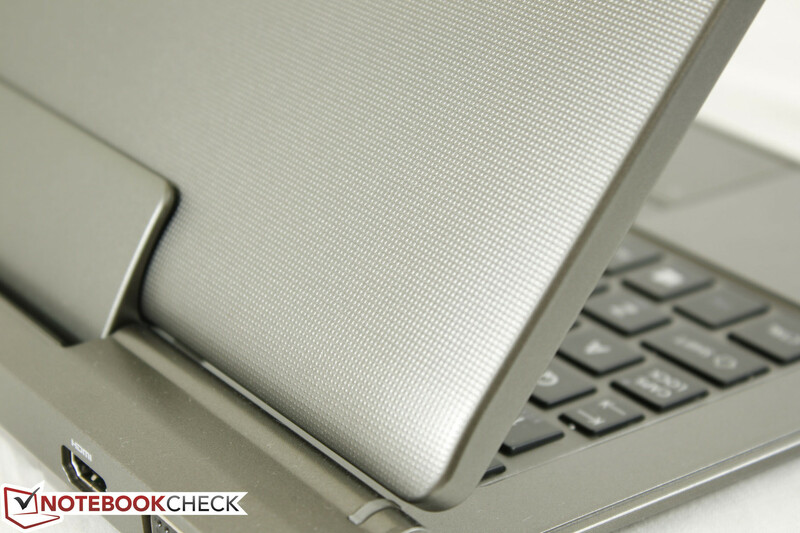 Thus, we have no other notebooks or tablets that also carry the same CPU for comparison as of this review. 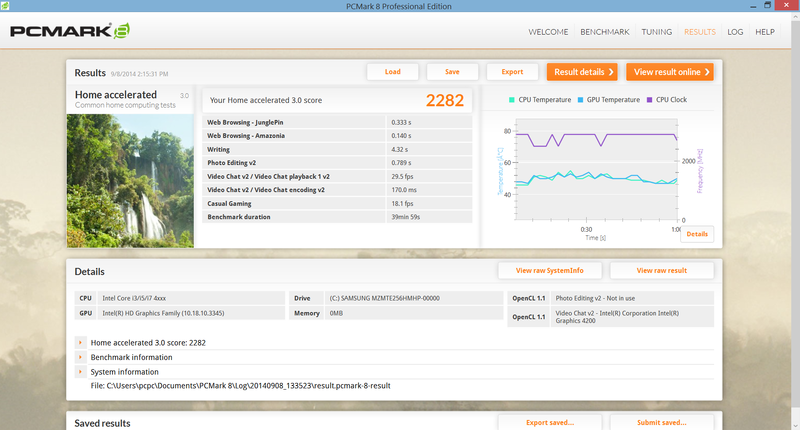 However, based on our synthetic benchmark results, the i7-4610Y is well above the Atom processor of the HP ElitePad 1000, roughly on par with the i5-4200U and i5-4300U, and slightly below the i5-4500U as found on the competing Asus Transformer Book Trio TX201. 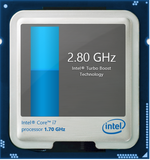 These i5 cores are conversely more popular and can be found in a large variety of Ultrabooks and tablets including the Samsung ATIV Book 9 Plus. 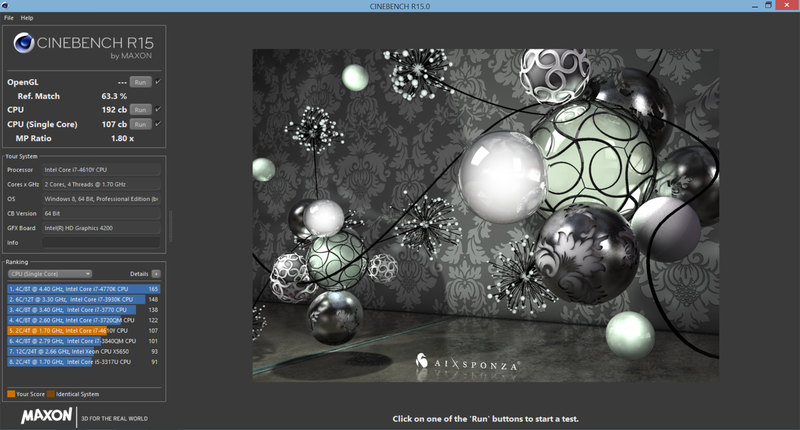 CineBench R15 scores place the i7-4610Y alongside the AMD A10-5750M and i5-4500U in multi-core performance and the i7-2617M in single-core performance. 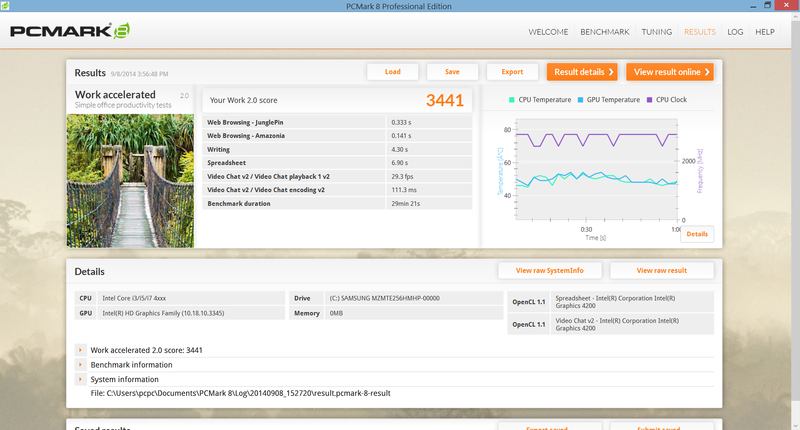 The multi-core wPrime benchmark shows similar results with final scores within a few percentage points of the i5-4200U and older i5-3210M. 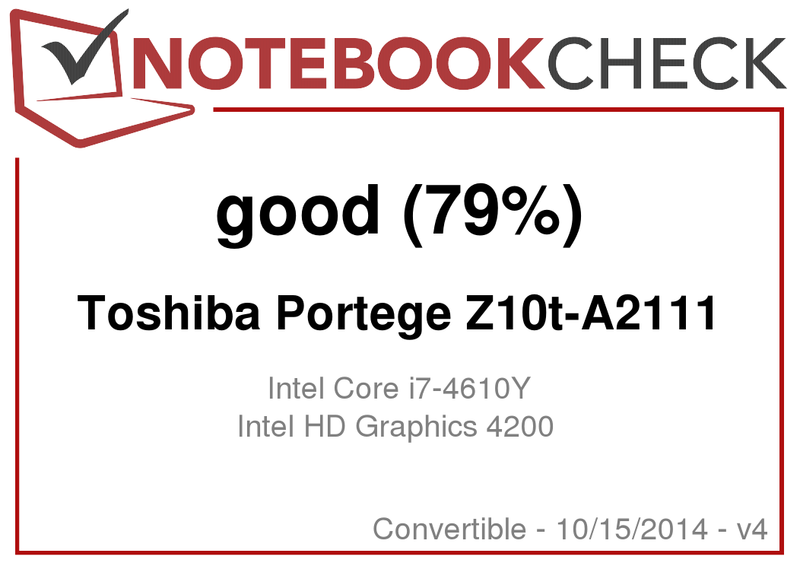 The latter Ivy Bridge CPU was common in notebooks only a couple of years ago, so it's quite an advancement to see an i7 in a tablet form factor with comparable performance at less than half the TDP. 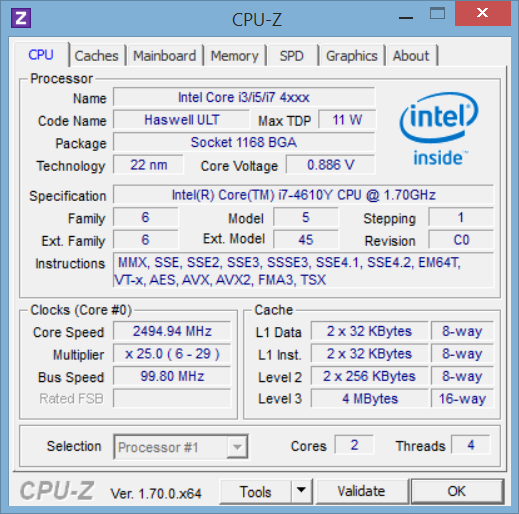 More thorough comparisons and tallies can be seen in our dedicated i7-4610Y page here. 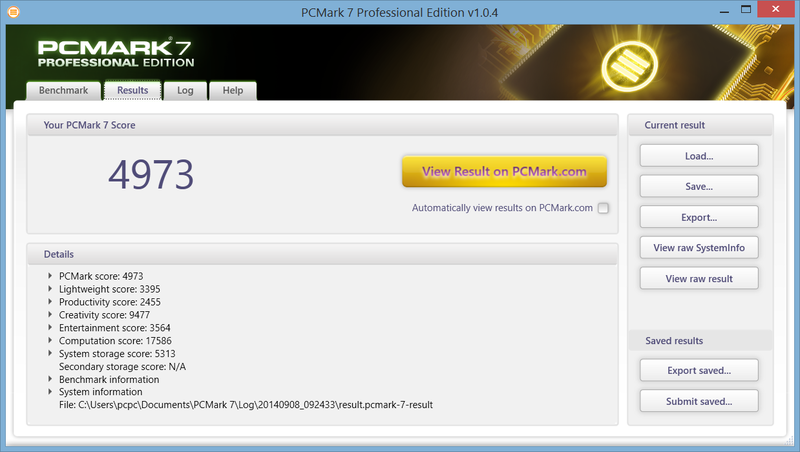 The PCMark 7 final score of 4973 points is very high and sits amongst many gaming notebooks like the Eurocom Racer 2.0. 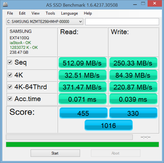 PCMark scores are notorious for giving the edge to SSD-based systems, however, so this of course does not mean that the Z10t carries the graphical prowess of dedicated gaming systems. 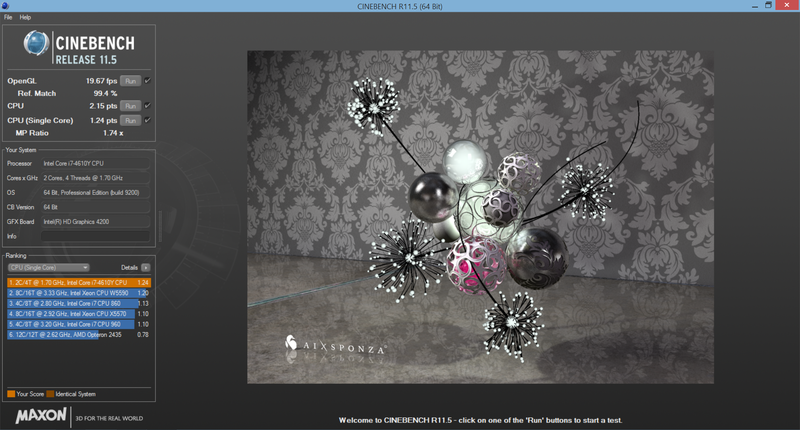 In fact, the Windows 8 Experience Index shows the integrated HD 4200 graphics to be the bottleneck of the system. Nonetheless, scores are high for a tablet and noticeably outclass both the Atom-powered Fujitsu Stylistic Q584 and ElitePad 1000 and is comparable to the Transformer Book Trio TX201 and Lifebook T904 convertible in PCMark 8 benchmarks. 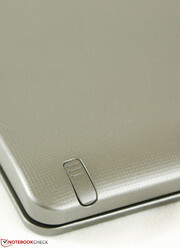 Subjectively, the tablet feels snappy with little delay or lag and is as quick as a high-end Ultrabook. 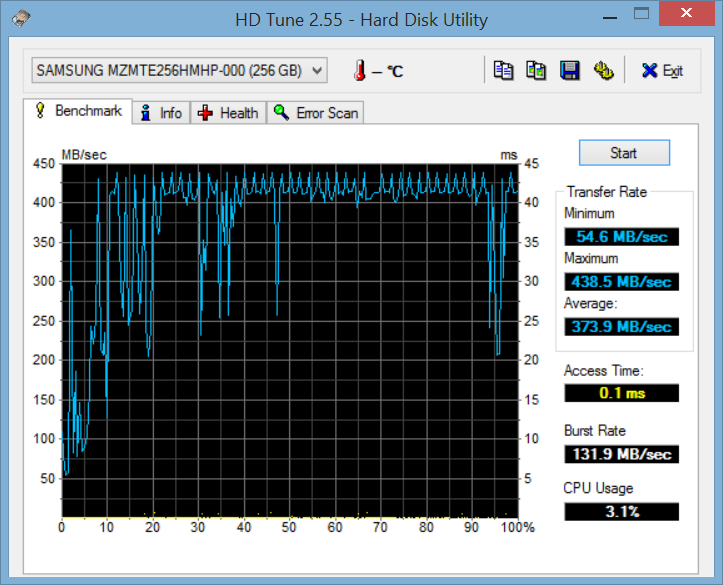 The internal Samsung PM851 MZMTE256HMHP SSD provides 256 GB of storage of which 221 GB is immediately available on the C drive. 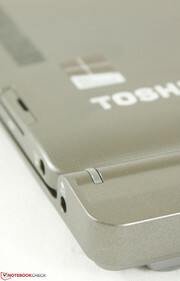 The same SSD can also be found in high-end Ultrabooks like the Toshiba Portege R30 and Samsung Series 9 900X3G. 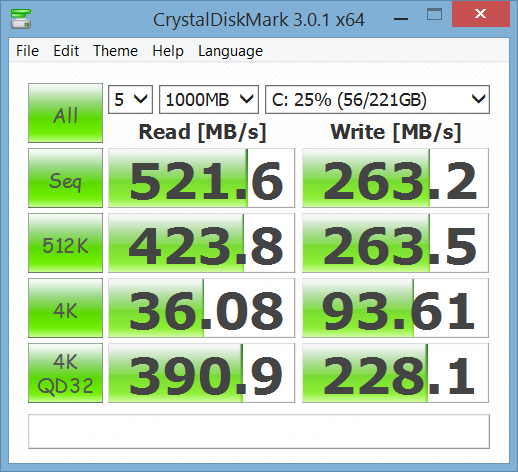 Performance according to Crystal Disk Mark and AS SSD shows consistent write performance and a read performance above 500 MB/s as is standard for a SATA III drive. Secondary internal storage options are not available for the Z10t as the docking station lacks the ability to hold any SATA drives. 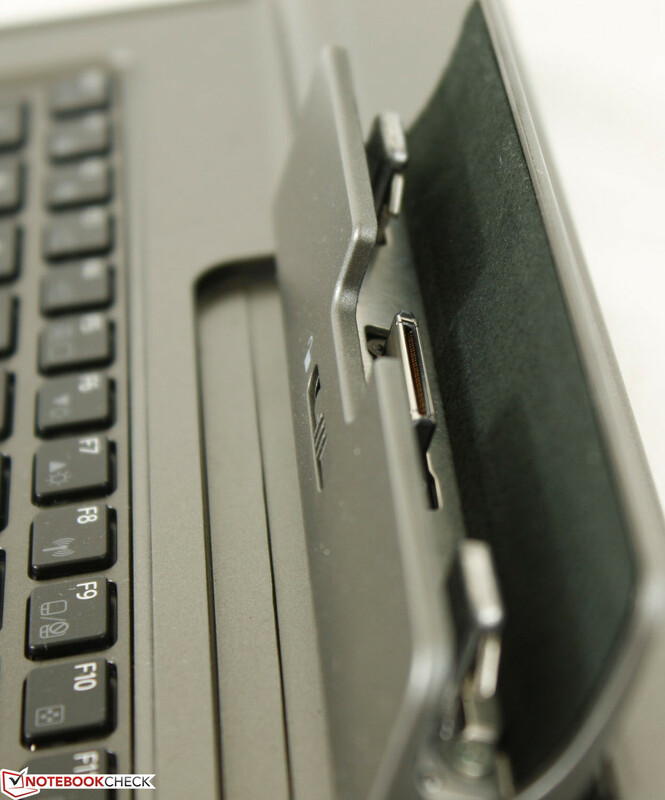 This is in contrast to select Lenovo or HP docking stations that can be outfitted with drives to complement the internal drive of the tablet. 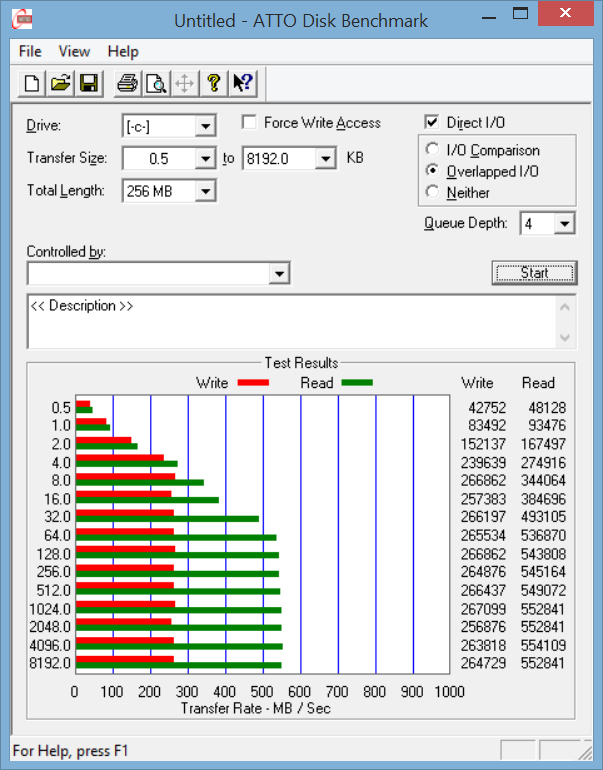 Even so, the primary 256 GB drive in the Z10t is already quite large, especially for a tablet. 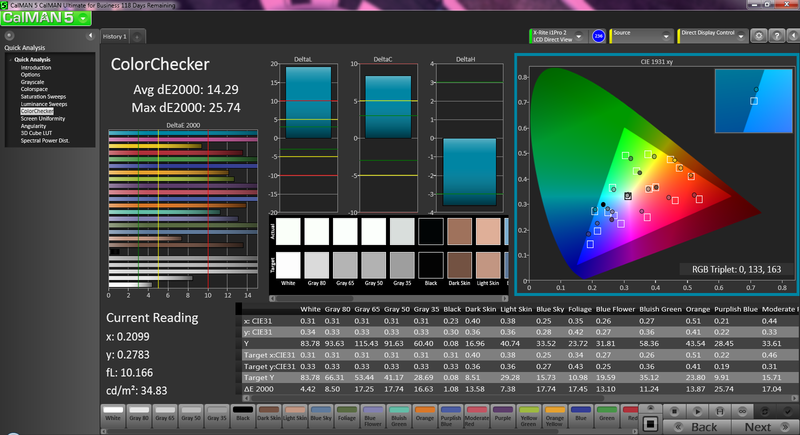 The integrated HD 4200 offers no surprises and users should not be expecting too much from the performance side. With that said, the GPU is wholly capable of running a handful of today's 3D titles on low settings and resolutions. 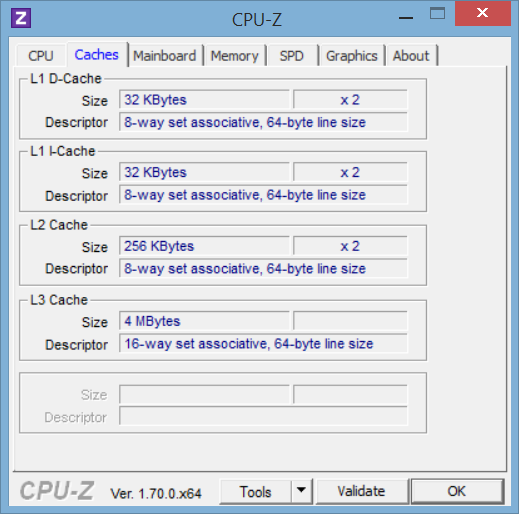 Older or less demanding titles like Starcraft 2 and DOTA 2 can run relatively smoothly at 1080p with reduced settings, while titles like Guild Wars 2 are limited to very low resolutions. 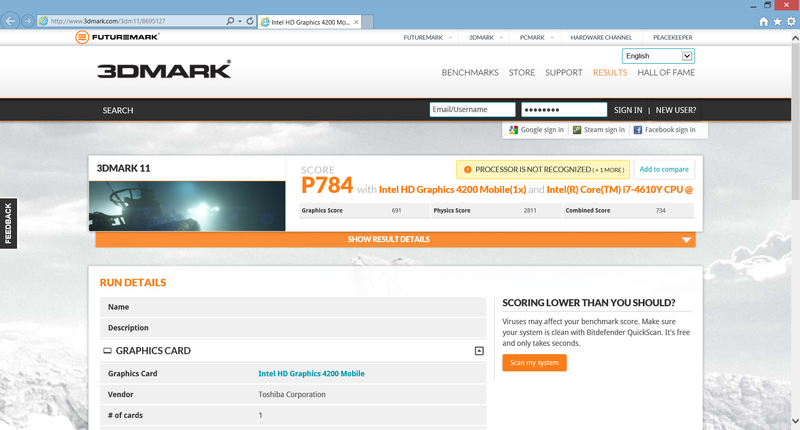 Meanwhile, synthetic benchmarks like 3DMark 11 place the Z10t in the same ballpark as many Ultrabooks with integrated HD 4400 graphics, such as the Tecra Z40 and HP Probook 430. This is great for a tablet as we were expecting more frequent throttling or downclocking issues due to the more restrictive form factor. 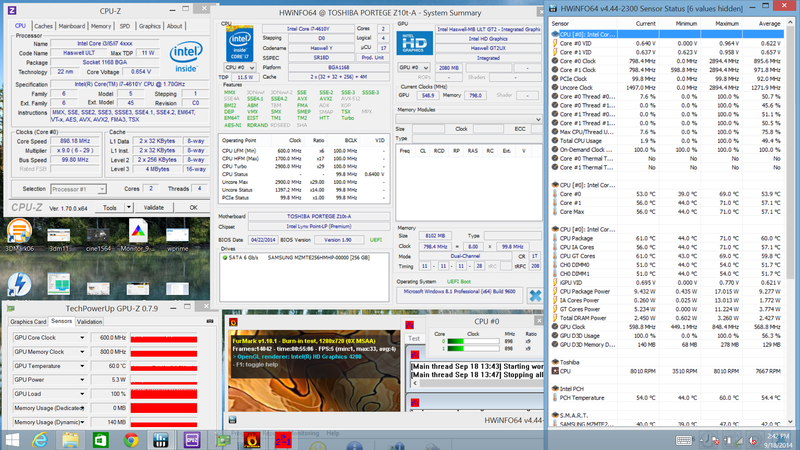 We stress the tablet with HWiNFO, CPU-Z, and GPU-Z monitoring tools active to observe for any stability or throttling issues. 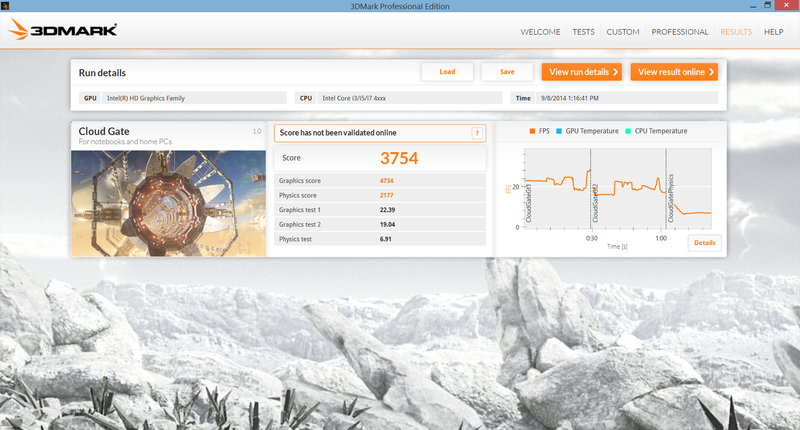 Prime95 was used to stress the CPU and was found to increase CPU speed up to 2.5 GHz before quickly dropping to a more steady 1.8 to 1.9 GHz clock rate once core temperatures reached about 72 degrees C. This speed is closer to the rated 1.7 GHz base clock rate of the i7-4610Y. 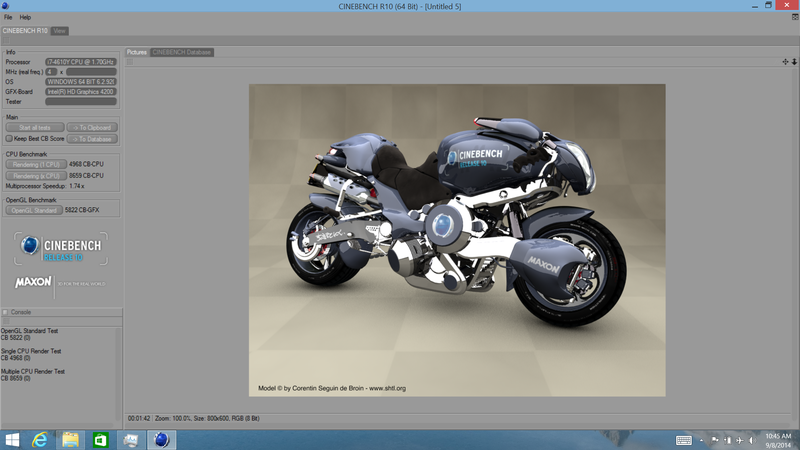 Next, FurMark was used to stress the integrated GPU. 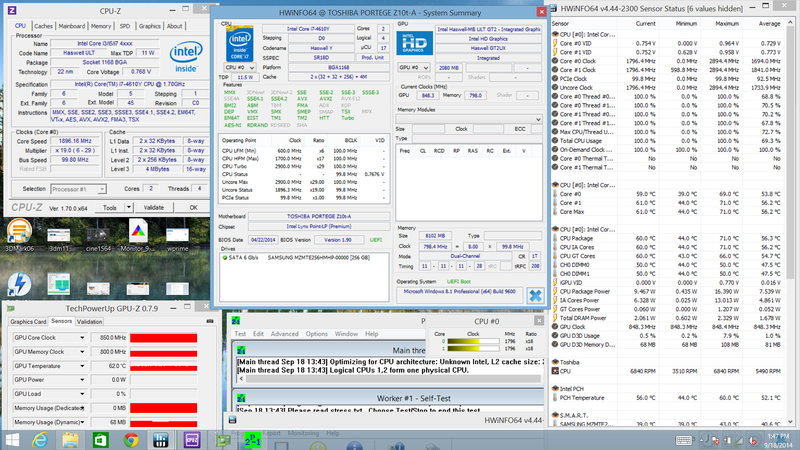 Under stress, the GPU was found to be operating at its base 850 MHz clock before leveling out in the 500 to 600 MHz range. 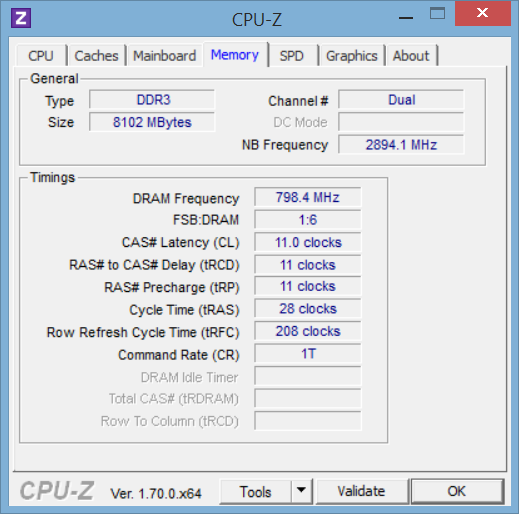 Memory operated at a steady 800 MHz regardless of GPU load. Under maximum stress with both Prime95 and FurMark active, CPU performance drops quickly to the 700 to 800 MHz range and the GPU to the 500 to 600 MHz range. Maintaining core temperature at a steady 60 degrees C under demanding loads appears to be a priority over faster performance. This is more than likely a manufacturer-enabled temperature ceiling to ensure comfortable use of the tablet no matter the workload. 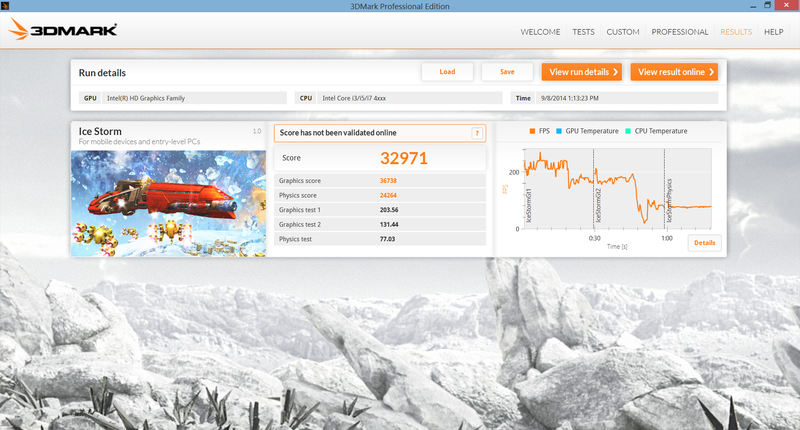 We ran 3DMark 11 immediately following the stress test and observed similar final scores as our 3DMark 11 run before the stress test. Thus, while the CPU throttles under very high CPU and GPU loads, it should have no significant effect in day-to-day activities. 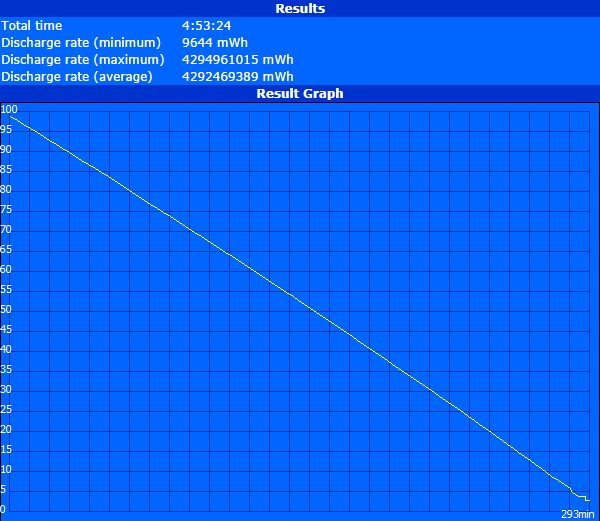 Running on batteries will result in a slight reduction in maximum GPU performance. 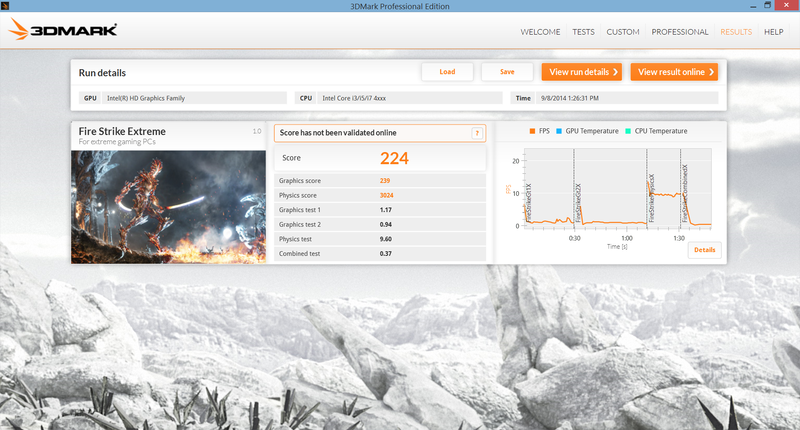 A 3DMark 11 run on batteries returned a GPU score of 471 points, which is about 200 points lower than if running on mains. 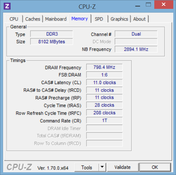 A closer look reveals that the GPU clock rate becomes fixed at just 450 MHz under load if running on batteries vs. the 600 MHz or 850 MHz range if connected to an outlet. 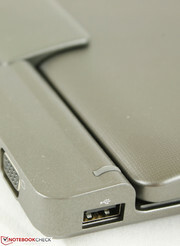 Thus, users running more graphics demanding applications will get better results with a power outlet nearby. 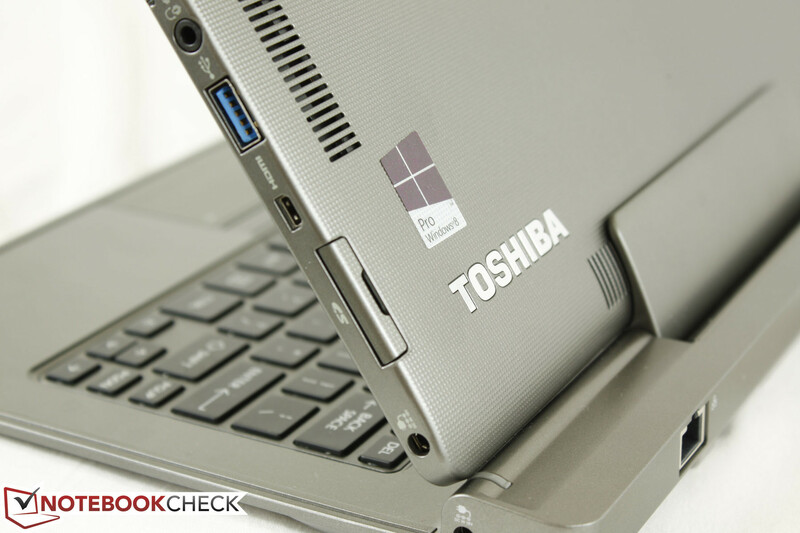 Like the powerful Surface Pro 3 and Transformer Book TX201 tablets, the Core i7-powered Toshiba Z10t requires active cooling. 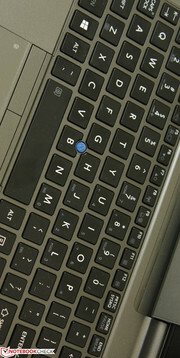 Very low activity, such as word processing and email, will not illicit fan noise. Moderate multi-tasking and browsing, however, will bump fan noise to an audible 35 dB(A). Gaming and other more demanding loads will induce even louder fan speeds of up to 41 dB(A), which can be distracting in quiet office or classroom environments. 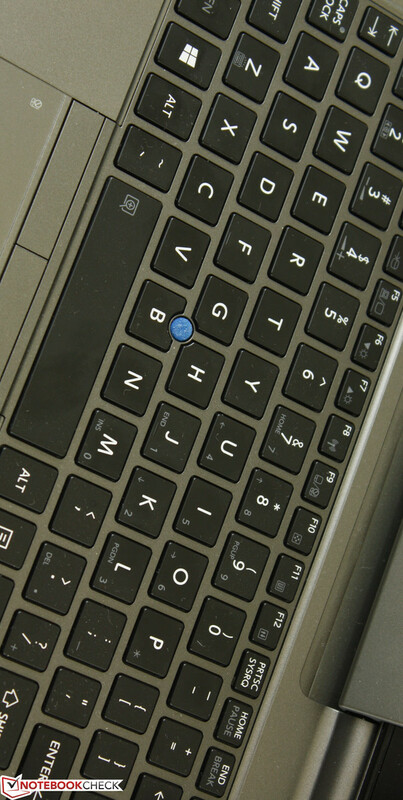 In this sense, the Z10t is similar to most Ultrabooks. Compared to the two tablets above, fan noise between these devices is not remarkably different. 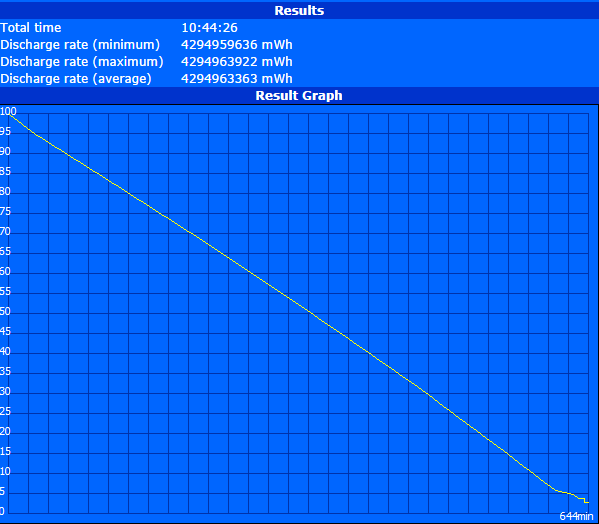 It's a reasonable sacrifice in order to house a Core i7 over a much weaker Atom processor. Surface temperatures when idle are slightly warmer on the front of the tablet than the rear, particularly on the bottom third of the device. 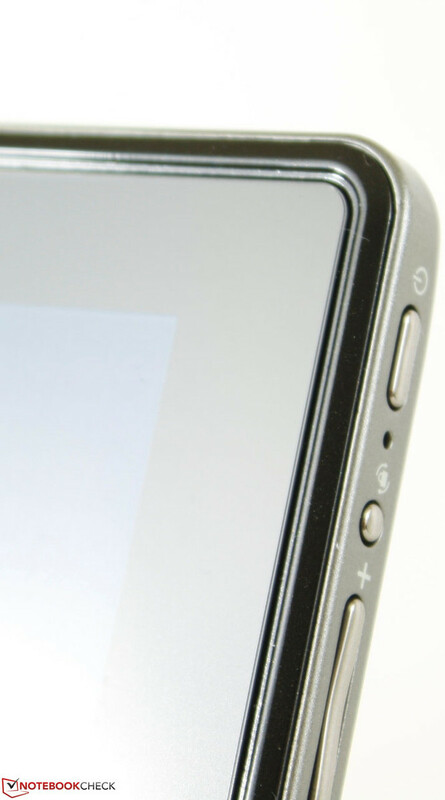 Furthermore, the right side of the tablet is noticeably warmer by a few degrees, so users may notice that their right hands can feel warmer compared to their left if holding onto the device in landscape mode. While the device can certainly feel warm at specific spots, it never becomes too hot during normal use. This is compared to the Surface Pro 3 or Stylistic Q584 tablets where their surfaces can easily become warmer than 40 degrees C under medium stress. Under maximum system load for over an hour, we recorded surface temperatures nearing 40 degrees C around the ventilation grilles. This could have been much hotter if not for the imposed CPU temperature ceiling as noted in the stress test section above. Our test conditions, however, are extreme and unrepresentative of everyday use, so it's safe to say that users will almost never experience surface temperatures as high as our recordings below. 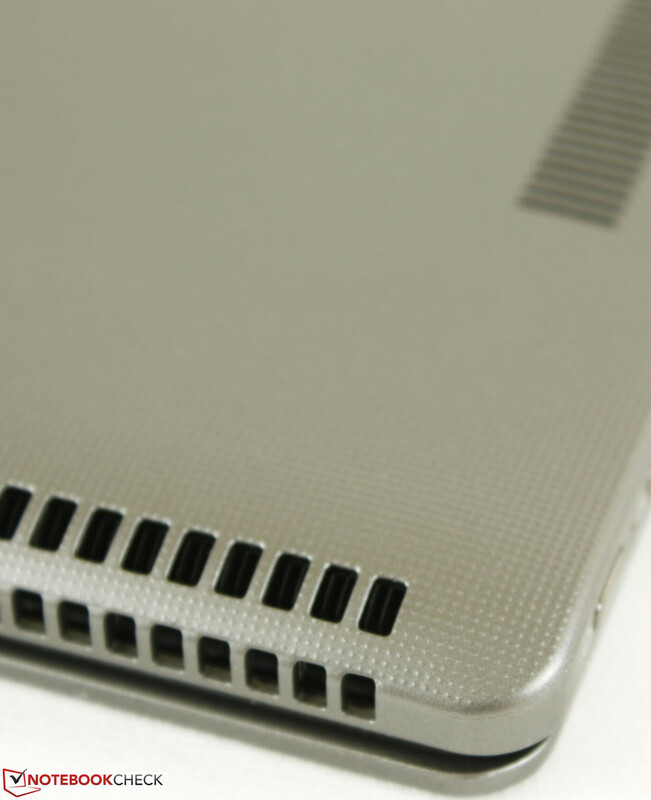 The warm air exiting through the ventilation grilles can be more bothersome than the warm chassis and users may want to reorient the tablet to avoid discomfort. The stereo speakers on the bottom edge of the tablet are lacking in bass and proper balance, especially at higher volume settings where slight static can occur. This is a bit disappointing as even the speakers on the much cheaper Kindle Fire models sound good for their size regardless of volume setting. It is certainly passable for the occasional music and movies, but external 3.5 mm solutions should be used for extended sessions on the Z10t. Users should also be wary of how they hold the tablet in portrait mode or else sounds can be muffled. 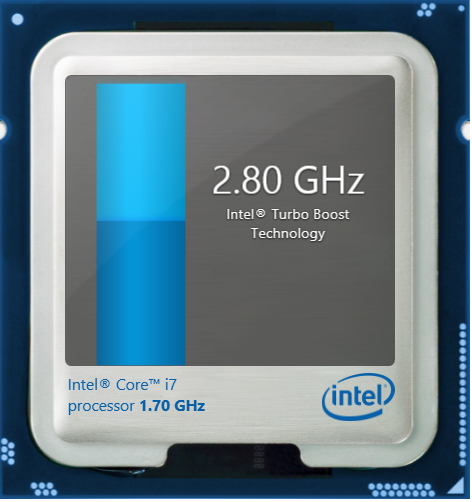 With such a powerful i7 core inside, battery life ranges wildly from 2 hours up to almost 11 hours depending on settings. 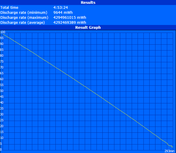 The minimum battery life was recorded by running the Battery Eater Classic Test at maximum screen brightness, while the maximum battery life was recorded by running the Battery Eater Reader's Test at minimum screen brightness. 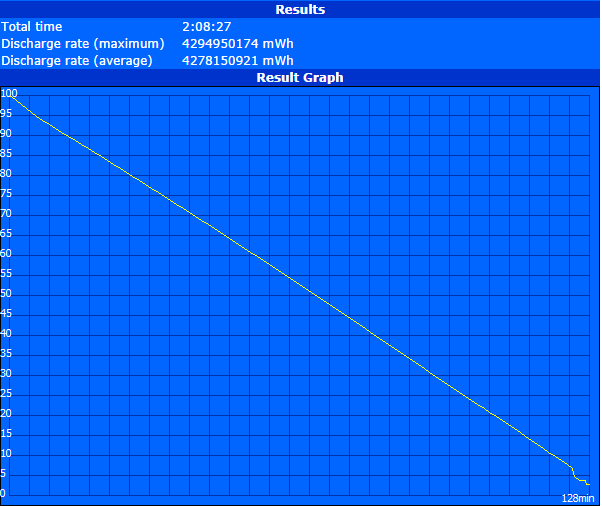 Our more realistic WLAN test runs a browser script at a brightness of 150 nits until automatic shutdown. 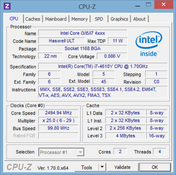 At about 5 hours of constant use according to our WLAN test, the Z10t with i7 is roughly on par with the original i5-powered Z10t while providing a more powerful CPU. Compared to other devices, this is similar to the Stylistic Q584 and Transformer Book Trio TX201, but is also a few hours shorter than the Surface Pro 3. Considering the relatively small 38 Wh non-removable battery, this is average for a tablet this size. 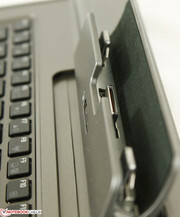 Users are encouraged to carry the power adapter as the tablet itself will not last on its own during a full day of use and the docking station provides no additional power when connected. 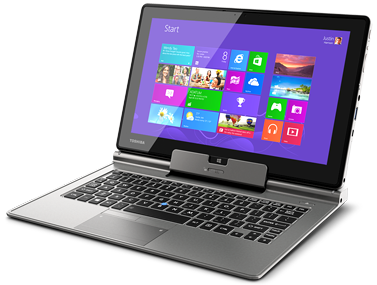 The Toshiba Z10t is one of the more powerful tablets available in the market. It's uncommon to find a Windows 8 tablet with a Core i7 option, especially when Atom-powered models like the ElitePad 1000 G2 are more likely to benefit from longer runtimes and passive cooling. 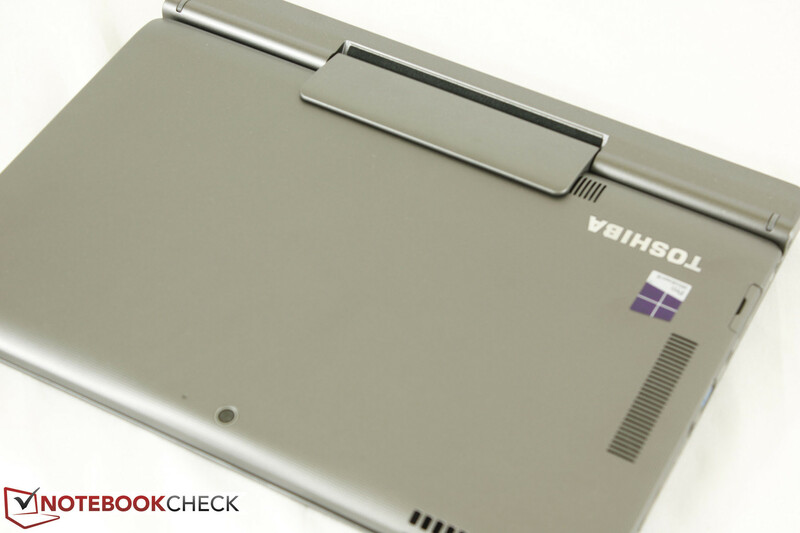 Users in need of a tablet with powerful internal specs and are willing to overlook Ultrabooks and other convertibles will find the Portege Z10t satisfactory for their more demanding daily workloads. This power comes at a cost, in this case fan noise and price. A pulsating fan during use is not abnormal and the starting price of $1500 puts the tablet in the same aisle as high-end Ultrabooks that can offer larger displays and higher resolutions without sacrificing weight. Speaking of higher resolutions, we're hoping that future revisions of the Z10t will include 2K or 3K options as this is becoming the norm for devices in this price range. While we appreciate the hardware under the hood, the Z10t will have a tough time remaining price competitive against other business-centric tablets if prices do not fall in the future and if higher resolution options remain elusive. 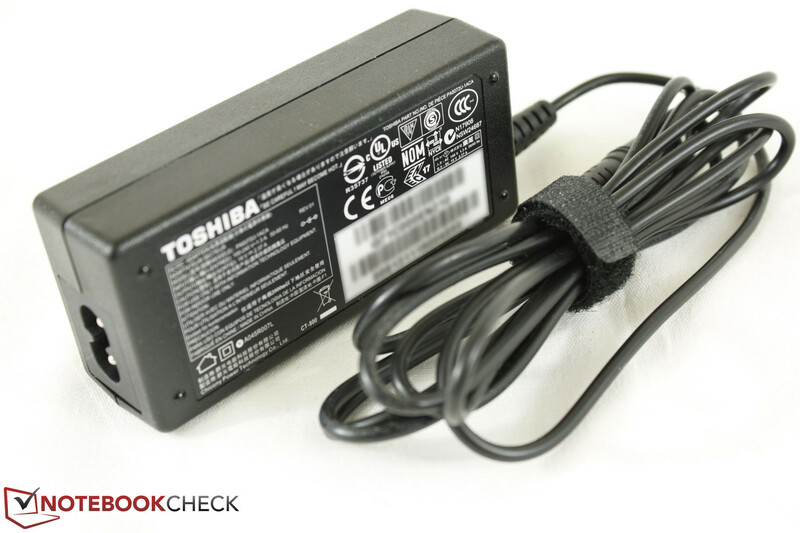 So far, however, its advantages in powerful internal hardware, matte display, and versatile connectivity options give this Toshiba an edge to users who can exploit them. 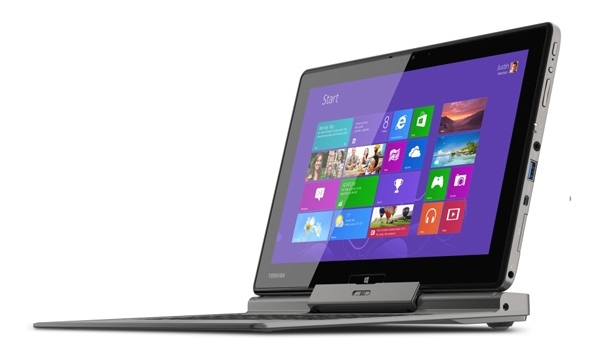 One of the few tablets with an IPS matte display and high-end Core i7 options. Multiple video-out ports for conferences and external monitor use. Higher resolution options and lower prices for future models will help the Z10t stay competitive against other business-centric tablets like the Surface Pro 3. 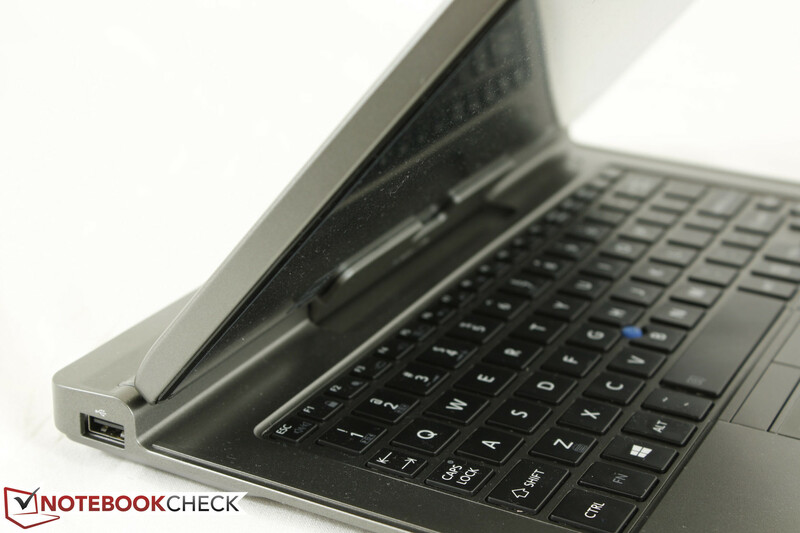 The power of an Ultrabook condensed into a tablet form factor. 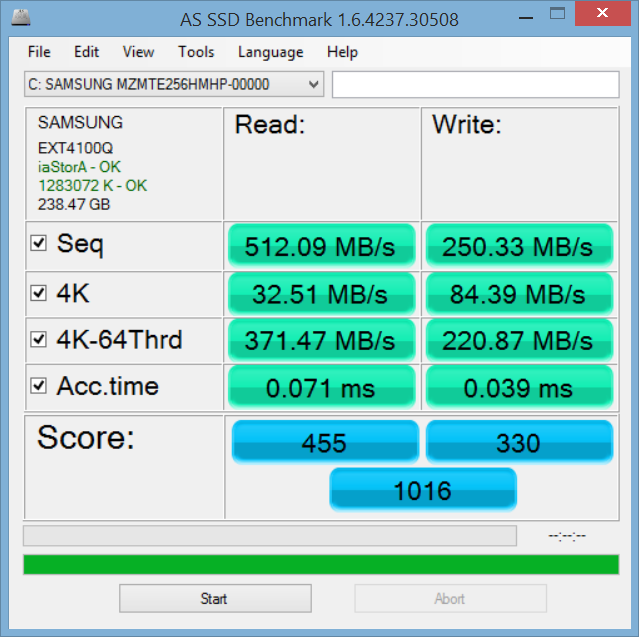 High performance SSD provides lightning speeds.